Teeth can become dull and discolored for a variety of reasons--common foods and beverages, chips and cracks that harbor stains, certain antibiotics such as tetracycline, the unavoidable aging process and genetic predisposition. No matter the reason, you can conveniently whiten your teeth for a brighter, healthier and younger appearance. Diamond Dental of Owings Mills offers both in-office and take-home whitening systems from Ultradent’s Opalescence products. If you’re looking for teeth whitening at its quickest and most reliable, then Ultradent’s Opalescence Boost in-office teeth whitening system is for you. Opalescence Boost is whitening gel that whitens teeth in only 40 minutes. The 35 percent hydrogen peroxide gel is chemically activated, so there’s no annoying light. And with its unique double-syringe delivery system, the gel is activated just before application, so every dose of Opalescence Boost is fresh and effective. If you prefer not to take time for an in-office appointment, then select our take-home whitening kits. With this option, you’ll receive custom-fitted trays and professional grade whitening gel. Simply fill the trays with gel and wear them for the amount of time Dr. Mattson recommends. You’ll see changes in your smile right away, with the best results happening in a couple of weeks. 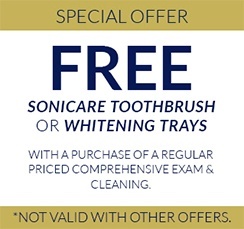 For spur-of-the-moment teeth whitening, we offer "Go Trays." These are an inexpensive 15 percent hydrogen peroxide gel for a grab-and-go bleach option that you can buy at your next dental appointment and begin bleaching the same day. To find out more about teeth whitening at Diamond Dental of Owings Mills, contact our office today. We’ll be glad to help you achieve the smile you want rather than settle for the smile you have.